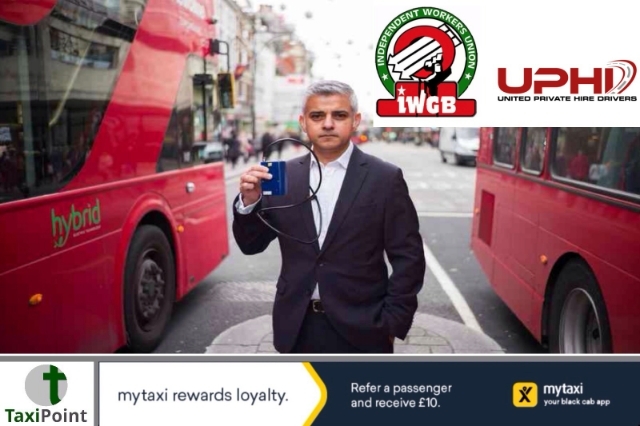 Co-founder for UPHD (United Private Hire Drivers) branch of the IWGB and one of the lead claimants against Uber for workers rights Yaseen Aslam, has written an open letter to the Mayor of London Sadiq Khan asking for his backing to tackle the ride-sharing giants. Sadiq Khan defeated the odds to become a top lawyer and one of the most powerful Labour politicians in the country. I come from a similar hard-scrabble background, common to first generation Pakistani immigrants, so he’s something of a working-class hero for me. My parents, devout Muslims, came to a booming Britain of the 1960’s around the same time as the Khan family. Sadiq’s father was a bus driver and mine a factory worker. Nobody had it easy, but the social contract remained intact for immigrants – if you worked hard you could create a better life for your family in the new country.Trade union membership was part of the glue that held these important social contracts together. Unions not only defended people at work but also acted as an important support system helping newly arrived immigrants feel welcome and to become active in the community.My father was a member of the Transport and General Workers Union and was always grateful for what the union had done for him. Sadiq Khan once lamented to the BBC on how his father, as a union member, enjoyed decent pay and benefits whereas his mother, a seamstress, did not have the benefit of union protection and suffered for it.In his declaration of interests as Mayor, Khan boasts today membership of Unite, Unison, GMB and CWU who are meeting this week in Manchester as affiliates of the TUC. It’s a tricky time for the large, affiliated trade unions because membership is on the decline, while abuse of workers, especially in the gig economy has never been more brazen and brutal.Like my father, I too am a trade unionist. But as the nature of work itself is reshaped for the next industrial revolution, I find the IWGB is more responsive to the challenge than the legacy trade union model that served my father’s generation so well.The IWGB’s heartland membership is amongst precarious and gig workers of the low paid service-sector workers. In London alone, there are 114,000 minicab drivers from mostly BME and/or migrant backgrounds who desperately need a trade union on their side. Grassroots organising for this sector is bottom up, hard graft and trust must be earned. But the IWGB is bucking the overall trend and growth in membership, particularly in the minicab drivers branch of which I am a co-founder. Membership here is skyrocketing to make us the largest dedicated union representing minicab drivers in the UK.The struggle for social justice is more complicated than you might think. Yes, we are going back to court against Uber next month for basic employment rights with IWGB lawyers, and we are also taking on other minicab firms in similar battles up and down the country.But what people might not know, is we are all too often having to fight for social justice against local councils and transport authorities such as Transport for London. Surely they should be protecting workers, not fostering their exploitation?Two years ago Frank Field declared Uber labour in London to be sweated labour and called on the Mayor of London to act to eradicate sweatshop conditions – but we’ve seen precious little action. Instead, Transport for London doggedly refuses dedicated trade union recognition for 114,000 mostly BME minicab drivers.Yet 23,000 mostly white British black cab drivers enjoy the choice of five separate driver representative bodies recognised by TfL. We were staggered to even find that TfL tried unsuccessfully to block the Met from working with us on passenger and driver safeguarding issues, despite an epidemic of violence and abuse suffered by working drivers.The Mayor missed an important opportunity in Uber’s recent re-licensing appeal to insist on statutory worker rights protections as a condition of getting their license back. More worryingly, TfL’s most recent private hire strategy paper promotes more of the same by endorsing technology-enabled ‘demand responsive’ business models, that is so wasteful of human capital and the cause of so much congestion. Why can’t the Mayor do more to take the lead from New York to reduce cab levels fairly and protect worker rights?Instead, the Mayor plans to make minicab drivers start paying the congestion charge despite firms like Addison Lee warning that they fully intend to make drivers pay the charge, rather passing it to the customer. The additional cost would mean an extra 11 hours per week on the road for drivers, currently making little more than £5 per hour. This was the last straw for London Assembly Member Len Duvall who said TfL’s ‘discriminatory’ policies had been “rumbled”.That’s why, on Thursday, I will be joining dozens of Uber, Addison Lee and other private hire drivers as we demand that TfL and the Mayor put an end to their discriminatory policies that deny us a voice and bury us in regulatory costs.Like most British people of Pakistani origin, I’m proud to see Sadiq Khan rise to become Mayor of London. But I do want him to remember our common heritage and everything the trade union movement has done for both of us.To Sadiq Khan, we say it’s time to welcome – not block – the work of unions like the IWGB in helping the new generation of workers – gig-economy workers – succeed, just as our fathers in the 1960’s did before us. Who knows – maybe one day a minicab driver’s son might become the Mayor of London.